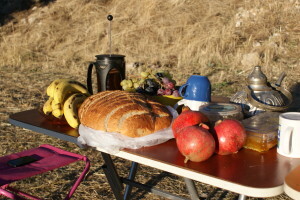 Earthbag Workshop (Superadobe) UK: 18-26 June 2019. 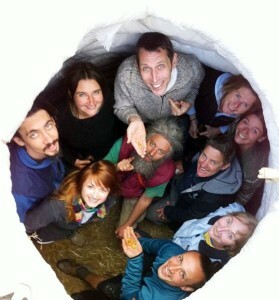 Earthbag Dome Workshop, West Sussex, UK. Taught by architect and earthbag author Paulina Wojciechowska. 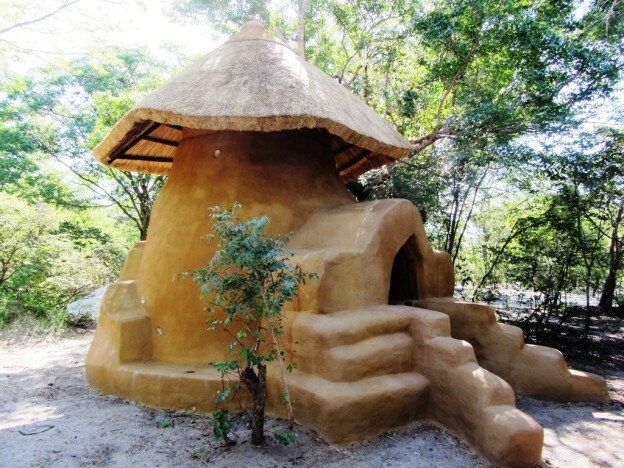 The workshop will be lead by Earth Hands and Houses founder Paulina Wojciechowska, a qualified architect who has over 20 years of experience building with earthbags in communities all around the world. Paulina worked alongside Nader Khalili at Cal-Earth in 1996 and is the author of “Building with Earth”, one of the leading earthbag construction books. 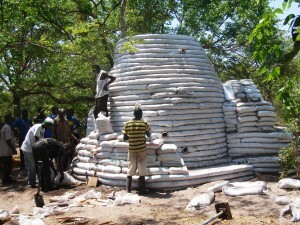 Preparation and application of the first coat of clay plaster onto an earthbag dome. Note that we are running two workshops at this time in W. Sussex, with the artistry with clay plastering and carving after this Earthbag workshop. 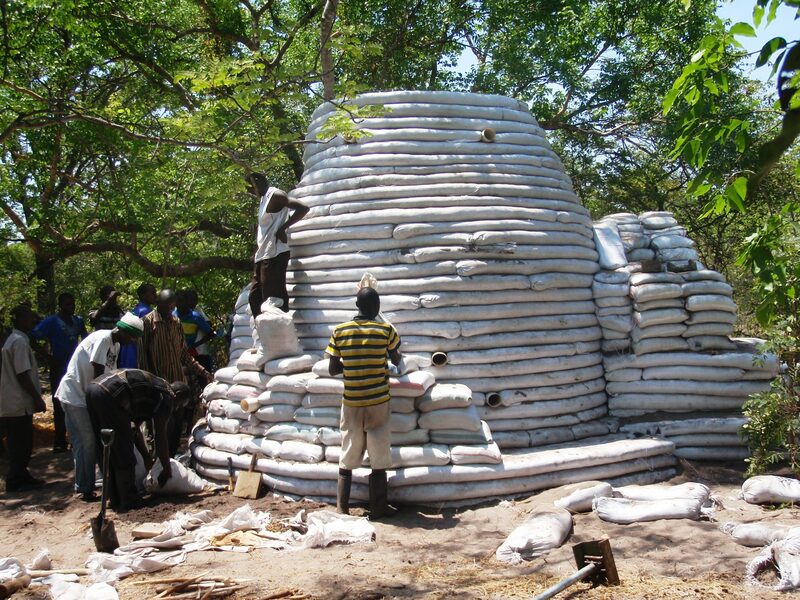 The workshop will be lead by Earth, Hands and Houses founder Paulina Wojciechowska, a qualified architect who has over 19 years of experience building with earthbags in communities all around the world. Paulina worked alongside Nader Khalili at Cal-Earth in 1996 and is the author of “Building with Earth”, one of the leading earthbag construction books. Click here to hear Paulina talk about her experiences. Location : The workshop will be held on a farm, outside of the village centre of Cuckfielf, 13 miles north of Brighton, 25 minutes drive from Gatwick in West Sussex, UK. Camping : You may camp on the workshop field for free if you have a tent, with simple camping fascilities… or talk to us about a space for a mattress under a barn roof. Places to stay: Cuckfield has a good airbnb selection of places to stay, or find a hotel nearby in Haywards Heath area. The earthbag dome workshop will run from 9.30am to 5.30pm on each day. with a day off after day 4, if we are running on schedule. We will aim to be finished by approx 4pm on the last day to give you time to pack etc..